Reality Winner - yes, that's her real name - pleaded guilty in federal court in Georgia on June 26. 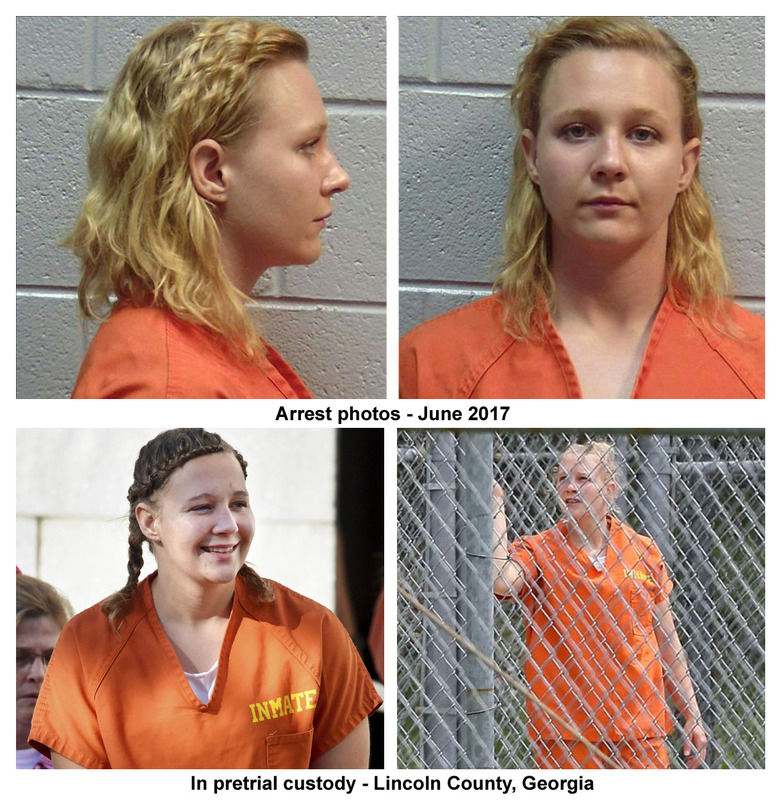 She had been in pretrial confinement since her arrest in June 2017 for alleged violations of the Espionage Act. Winner was accused of - and has now admitted to - leaking a classified report produced by the National Security Agency about Russian interference in the 2016 Presidential election. It detailed attempted hacks by the GRU, Russia's military intelligence service, against local election officials and a company that sold software for voter registration. Virtually every foreign intelligence report published by NSA is not just classified, but is also designated as Sensitive Compartmented Information (SCI) that requires special handling in designated communications channels. This one was no exception. TOP SECRET - The material is classified Top Secret, the highest level. The lower classifications are Confidential and Secret. SI - This material is based on Special Intelligence, or information derived from the intercept and exploitation of foreign communications. This is probably the major issue - the Russians will easily determine which of their communications systems are vulnerable and will secure them, eliminating forever a valuable intelligence source. ORCON - the report is Originator Controlled, meaning that further distribution of the report requires the producing agency's (NSA in this case) express authorization. REL TO USA, FYEY - the information is releasable to authorized recipients in the USA and the "Five Eyes" countries. These are Australia, Canada, New Zealand, the United Kingdom and the United States. FISA - This report contains information collected in response to a warrant issued in accordance with the Foreign Intelligence Surveillance Act. This was not an act of a whistleblower - a whistleblower reports issues, violations, fraud, etc. to his/her chain of command, or the organization's inspector general (all government agencies have them), but NEVER to the media. This is especially true when dealing with classified information - as in this case. Ms, well now, Inmate Winner knows this full well - she is a former U.S. Air Force linguist. Military personnel are trained on the proper handling of classified material. So why did she feel the need to photocopy a highly restricted Top Secret document from her place of work and email it to a media outlet - The Intercept - with past associations with the likes of the traitor Edward Snowden and his shill Glenn Greenwald? She said she was mad about some things she had seen in the media, and wanted to set the facts right. No excuse to go to a media outlet with a record of releasing sensitive national security information. Winner entered a guilty plea, part of a deal with the federal government which will require her to serve up to five years and three months in prison. She has been jailed at the Lincoln County Justice Center since her arrest. The photos above tell the toll incarceration has taken. Who knows what five years in a federal prison will do to her? Given the fact that she has pleaded guilty to a violation of the Espionage Act - it is as serious as it sounds - I doubt she is going to a Martha Stewart level minimum security facility, also known as "Club Fed." At her plea hearing, she stated, "All of these actions I did willfully, meaning I did them of my own free will." At least she owned up to her treason. Sorry, mom, that's exactly who she is and what she did. Look on the bright side - with time served, she'll likely be out by age 30. By that time, The Intercept will have forgotten her and moved on to the next betrayal of the country. No worries, though, I am sure there will be a big demand for ex-con waitresses who might still remember how to speak Farsi. * You can download/read the entire leaked document (with NSA-requested redactions) here. ** Here is The Intercept's reportage of convicted felon Inmate Winner's plea deal. As you might expect, their view is a bit afield of mine. In my opinion, they threw her under the bus - a first year counterintelligence officer would have figured this out in about eight hours. It is with profound sadness that I acknowledge the passing of a legend and personal mentor. Lieutenant General Bernard E. Trainor, United States Marine Corps (Retired), has died at age 89 of cancer. Time has taken its toll on yet another of America's finest warriors, those who we as a country send forward to fight our wars. The general was a combat veteran of the Korean War and two tours in Vietnam. I was honored to know Mick, as he was called by his friends, although I never called him anything but General. There will be enough articles and recitations of his accomplishments that I will not review them here. I will merely recount my personal recollections of the general. In late 1987 and early 1988, there were several major issues facing the United States - Afghanistan and our support for the mujahidin, the Iran-Iraq War and our nascent support for the Saddam Husayn government, and the threat posed by the Libyan government under Mu'amar Qadhafi's acquisition of chemical weapons. It was a busy time. Our office routinely provided interviews to General Trainor. American support for the Iraqis in the Iran-Iraq War had just begun when I met the general for the first time. He was by all accounts a legendary U.S. Marine three-star general now writing for the New York Times. I was intrigued by the thought of retired senior military officer now working as a member of the Fourth Estate. For many of us serving in the military, it seemed a bit incongruous. 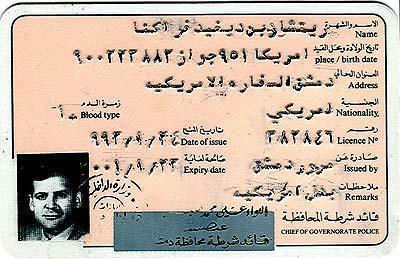 At that time, our program to support the Iraqis through the provision of U.S. military intelligence was very close-hold. Few members of the government were aware of the Presidential-directed program to give the Iraqi military the information they needed to stave off an expected Iranian offensive that we believed would lead to the eventual fall of the Iraqi government. I was one of the officers tasked with going to Baghdad and working with the Iraqi Directorate of Military Intelligence as part of that program. According to the Los Angeles Times, the program was known by the code names "Elephant Grass," "Druid Leader" and "Surf Fisher." I will neither confirm nor deny. Imagine my surprise while on a flight from Paris to Baghdad running into General Trainor. Since the flight was headed for Baghdad, there was no sense in denying that I was headed for the Iraqi capital. I tap-danced around the obvious question, "What are you going to be doing in Baghdad?" with a "visiting our defense attache office at the embassy." I am not sure he bought it, but extending professional courtesy from one military officer to another, he did not pursue it. I was glad he did. I did not want to lie or mislead him - but as a professional intelligence officer, I was prepared to do so. 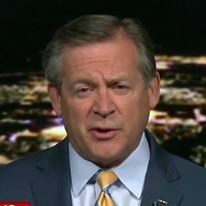 Years later, I again worked with General Trainor, but in a different capacity - we were both on-air analysts for NBC News, which included the cable outlets CNBC and MSNBC. He was always a gracious analyst, even when we disagreed. My experiences in Iraq were markedly different, so it was reasonable that our analyses varied. In every instance, he was personable and willing to listen to a much junior officer. I will mourn the passing of a fine officer. General Trainor - "Mick" - served his country well as a warrior, and later as a journalist and author. * I have chosen to not acknowledge the obituary from the Times as I disagree with the political spin attached to it. I knew General Trainor and believe that he would not have not been pleased with it. The Reuters headline could not be more clear: "France's PSA suspends joint ventures in Iran to avoid U.S. sanctions." French carmaker PSA Group, Europe's second largest automaker, has begun the process of halting its investments in the Islamic Republic of Iran in response to the withdrawal of the United States from the Joint Comprehensive Plan of Action (JCPOA). The JCPOA was, in my opinion, a flawed agreement that traded sanctions relief for Iran in return for a delay in its quest to acquire a nuclear weapons capability. Since U.S. participation in the JCPOA was mandated by an executive order of former President Barack Obama without Senate ratification (required for international treaties), it was subject to revocation by President Donald Trump via the same mechanism. Inherent in that withdrawal from the JCPOA is the restoration of American sanctions on Iran. They have come incrementally, targeting both individuals and organizations in the country. What has real teeth, however, are the "secondary" sanctions, those sanctions against individuals and organizations who choose to ignore U.S. sanctions and continue to do business with Iran. This is what is driving (pardon the pun) Peugeot to reassess its investments in Iran - fear of American sanctions on the company. The message is quite clear - companies can do business with the United States and its $18.5 trillion economy, or with the Islamic Republic, whose gross domestic product is about the same as the state of Maryland. Companies who ignore the sanctions also risk being cut off from the U.S. financial system, the kiss of death in international business. Peugeot follows other major businesses in suspending dealings with Iran, including Total, Siemens, Allianz, Maersk, BP, and GE. The sanctions will also affect proposed commercial aircraft sales to Iran by Boeing and Airbus. On a lighter and more personal note. Peugeot has a long history with the Iranian automobile industry. 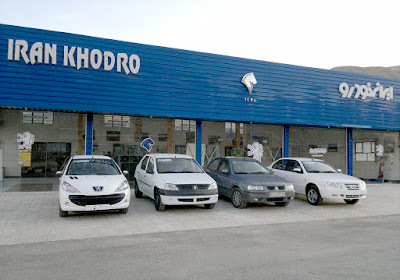 In 2007, Peugeot's partner in Iran, Iran Khodro, partnered with a Syrian government-owned company (it is a socialist state, after all) to produce a car in a joint Syrian-Iranian auto factory in the environs of Damascus. The car was a direct copy of the Iranian-built Samand, which was itself a derivative of the Peugeot 405. Since the car was mainly built for the domestic Syrian market, the name chosen for the car was the Sham. 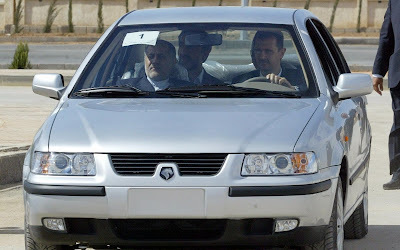 A Syrian state-owned company and an Iranian public company are jointly manufacturing a car in Syria. The car is based on a Peugeot design. Having lived in Syria for a few years, cars make an interesting issue. Prior to the mid-1990's, it was almost impossible to import a car as a private citizen. 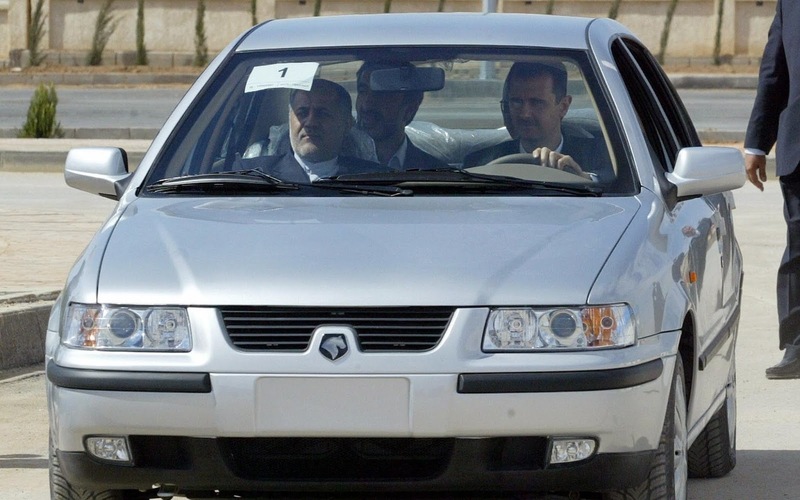 When restrictions were relaxed, cars imported into Syria carried a 100 percent duty. An indigenously produced car will certainly find a market and replace many of the antique cars kept running only by creative repairs by innovative Syrian mechanics. Although it will not be a problem in Syria and it does not look like the car will be marketed in the English-speaking countries, they have decided to name the car with the old name for Syria and the Syrian dialect word for Damascus - the Sham automobile. I hope the car is well-built and easily repaired, since accidents are quite common, and the mandatory state-owned insurance coverage is basically worthless. My wife was in a fender-bender - when I translated the police report, the other driver, who was clearly at fault claimed that the accident was the will of Allah. The police accepted that and it was the official cause of the accident. The Sham - going on sale next month. From the people who brought you Hizballah.